I packed up your clothes today though some might think it odd I had not done it already. I always held out hope that I would have another little boy that would be able to wear them. Sadly, I am coming to grips with why I have always wanted three children. It wasn't a childhood fantasy but a foretelling of my life at this point. For weeks I have trying to get myself to the point of giving your clothes away but, even though I reached out for leads to a family in dire need, I came up empty. I didn't want them to go to just anyone, you AREN'T just anyone. Just as I do a service project on your Birthday each year, I wanted them to go to a family that needs support. Yes, I know, I could've found that anywhere, but I NEEDED to know where they would go and that they would be worn and passed on to the next family in need for the same purpose. I'm sure your Daddy thought I would have them forever. So today, I packed them up to be given to teenage mothers who need help providing for their children. A dear neighbor friend's company supports these young women and I have faith that they will take care of them and pass them on to others in need. It was hard stuffing them into trash bags and I even stopped for a moment to ponder the symbolism of them being in trash bags as opposed to boxes as I would normally pass your sister's clothes on in. I shamed myself for throwing you out like trash when your sister's stuff is put neatly in a box. Well, I didn't have any boxes and the bags are easier to tote clothes in. For the record, all three garbage bags were stuffed to capacity and were ones that had the FreBreeze air freshener on them so there's an upgrade for you. Most of the clothes were never worn, some still in their original packaging or are on hangers with the tags still on them. They represent so many hopes and dreams of a life up to 18 months even though we didn't even get a month. They represent a present tense in which you never grew out of them. The represent my wish for another baby in shambles. The represent the love of those around us who gave them to us in excitement for your arrival. But now, they will go on to represent new life, warmth, care, sustainability for another little boy. Why did I keep them so long? A grieving mother does not always know her own secrets. I knew the baby train had sailed years ago but there was always hope. Maybe we will foster or adopt. Maybe someone I know will have a baby boy and I will remember to pass them on. All of the rest of the "maybes" drifted off like the excuses they were. All I know is that over the past few years I have been letting go of baby stuff that belonged to both you and your sister. It is heartbreaking on so many levels. Not having baby stuff in the house is a harsh reminder of my fate as a mother, 3 children wanted, only 1 living one to show for it. It is a whole different kind of mourning, as if mourning you weren't too much already. Not everything of yours is gone. Your chest of cherished items and memories will NEVER leave our home, not until we are with you in Heaven. Your sister will surely take care of it for us then. Until then, I miss you even more now that those clothes are packed up and ready to go. Every time I pass on the baby stuff that belonged to you and Lorelei, I lose you a little more. Little pieces of you are leaving my life and I had so little of you to begin with. It's just another painful muddy step in this journey called life. Hopefully, your belongings will make someone else's journey a little more sturdy. 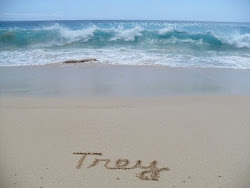 I spent so much time hoping for the best when it came to Trey. Even when we heard worrisome news when he was still in my belly, even when I was admitted into the hospital pre term labor, even when he was born 6 weeks early. I always held such strength even through worry. I think if I had thought realistically instead of hoping and having faith, all of this wouldn't have been so hard. Anyone who knows me knows I rule by my heart, I don't know how to choose my head unless I am showing my intelligence. I love him and there was nothing else to do except hope. I pumped milk and gave any updates with the emphasis of hope. He was living, thriving, stable. RIGHT? WRONG!!! Being brought back to reality due to a series of lies digs a hole in a person. My hope turned to dust in the desert that used to hold an oasis of possibilities. A mirage really. Once upon a time I always expected the best. I have no idea what that feels like anymore. My anxiety is a beast when faced with conflict. I never really liked conflict to begin with but I always tried my best to resolve it in the most positive way I could think of. Now, I am constantly waiting for the other shoe to drop, for the ulterior motive to be revealed after it's too late. Everytime things seem iffy, I expect that certain doom is coming. I spend so much time analyzing everything I have done wrong and rationalizing false perceptions of me. I could not possibly be aware and competent if I didn't realize something was wrong when I carried him. I must have been in Lala Land if I believed that he was thriving after he was born. I lost myself in paranoia when my ability as a teacher came into question. I acted as a person who could not function on logic alone. I knew I was doing the right thing for my students, helping them succeed yet acted on the judgment of a superior, cowering to make everything ok again. 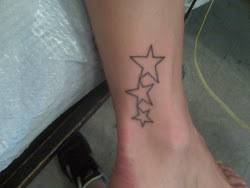 Epic fail. I sabotaged myself and lost my job. 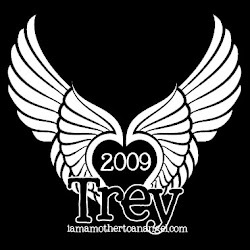 I crumbled under the stress when I faced it head on like when we believed Trey would be ok.
How quickly I doubted myself after I lost my confidence then lost my job. Looking back, maybe my "boss" took advantage of my insecurity. Never again. Then another challenge came and I was once again put to the test but I was starting to gain steam. I spent the summer break trying to figure out why I was such an emotional wreck under pressure. It was simple. I was scared the worst would happen. 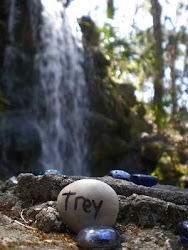 After all, I believed with every ounce of my being that Trey would be ok so that should set some sort of presidence. Yet, I was wrong and felt doomed to be wrong for the rest of my life because o should've known better. I should've been smarter, more aware, more realistic. I could not anticipate the horror that was to come. I remembered what the very person who fought for me to be hired said. "Don't act as if it is the beginning of the end." That changed me, or at least redirected me. It's all still a process but I am steadily gaining my confidence and hope back. Nothing is a lost cause anymore. If anything, I try to gift and inspire others with love and hope. I surprise co-workers with treats as I used to when I wasn't so concerned with my own confidence. I smile more and convey well wishes even when I am down. All of this makes me happy and proves that though the anxiety and loss are still there, I can can connect with others on a loving level knowing that they are going through their own journeys. But more importantly, I don't freak out as much as I used yo. I can laugh at myself and at the same time analyze myself rationally so that I don't give someone else my power. 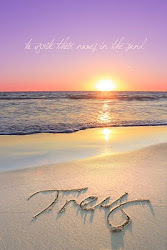 I will never ever be who I was before Trey, but, I am moving forward holding my true self in tact carrying every burden, holding it high yet stopping to recollect when my caravan of blessings need the reigns pulled in so I can rest and reflect. 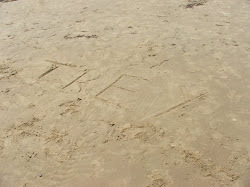 Trey, I left you. I abandoned you when you needed me the most. The NICU doctors told us that we needed to give you space, that being around you too much would excite you too much. We came to visit when we were desperate to see our baby. We listened to them. We never should've. You were our baby. We didn't know what was about to happen. It's no excuse. We should've been with you night and day. Our son needed us. We didn't know what we should've been doing. We were recovering and coping at the same time. It wasn't until it was too late, until you were at the Children's Hospital that we had "definite " hope. We stayed the night that first night and stayed as long as we could each day. Then we were told you were struggling. There were devastating feelings to deal with and life ending decisions to be made. We weren't with you as much in those days. We had to sort through so much emotionally and mentally. We were with you when your daddy signed papers to turn off the machines and let you rest in peace. I told your daddy I didn't want to see you die. He took me home. I will never forgive myself. I was a coward. I was afraid to face what you were going through. If I stayed away, maybe what I had done to you in the womb would get better. It has to be my fault, what happened to you. I should've known something was wrong. I should've asked more questions when no one said anything about test results. Even the OBGYN staff asked why I didn't follow up. I can't rest on the fact I was waiting for them to tell me. I should've known. Then we had to hear on a phone call that you went peacefully with my parents, my aunt, and your daddy's parents. We weren't there because your daddy said his place was with me. How selfish of me. OUR place was with you. 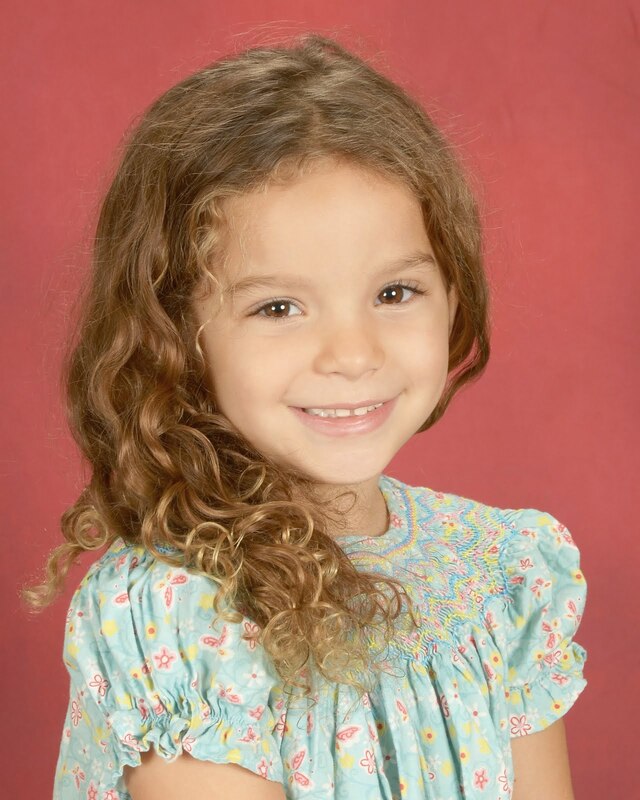 I robbed your daddy of being with you when you left this world. I will never forgive myself for doing that to you and your daddy. I will never forgive myself for not having the courage to be there for you both. I hope you can forgive me. Don't think I ever can forgive myself. In December of last year, one of my students found out that he had Leukemia for the 2nd time. As you can imagine this news was devastating to him and his family not to mention the financial strain it has put on his parents. 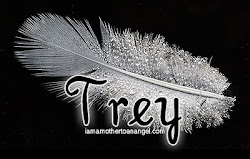 In March, my service project for Trey's Birthday centered around raising money for his family symbolizing the 2500 plus days we have been without Trey. We didn't raise NEARLY as much as I would've liked so I have vowed to keep the YouCaring donation site up until we reach our goal. Please see the information below, share and give if you are able. THANKS! April 4th, 2017 will mark 2,922 days without our son Trey earned his wings and was freed from complications of CHARGE Syndrome. Every year I perform a service project in his honor. This year's project is especially personal because it centers around one of my students who is conquering Leukemia for the 2nd time. Ryan is a charismatic young man who has put up quite a fight against this disease. There are times when I look back on all we've been through with fertility and losing our son and I never imagined, even as a child, such things could occur. I look at my daughter every now and again wondering what she will have to go through as a mother. Is infertility passed down? Will she struggle to get pregnant the way we did? If so, I dread watching her go through the heartbreaking journey. 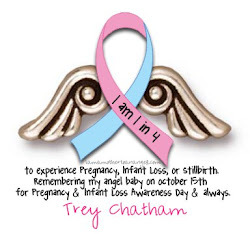 I KNOW she and her unborn children will be tested for CHARGE Syndrome even though the doctors have told us Trey's case was a fluke. By then I am sure she will know more details surrounding her brother's passing, I will HAVE to tell her. She deserves to know before she decides to have a family. How would her partner feel about all of it? Would he/she be too scared to risk having a child born with a medical condition that can span a long range in complexity? 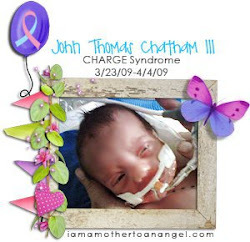 Would he/she risk having a child with CHARGE only to have it die? These worries don't plague me all of the time, but every now and again, I get the same worries that all mothers do about what the future holds for their children. I cannot control what will happen but I hope I am around and able to be a source of support for her if there are roadblocks. I hope to celebrate the blessings life has in store for her. But mostly, I can only hold hope that her journey into and through parenthood will bear no resemblance to the rocky road I traveled. Well, here I am again, a year after my last post, trying to figure out how I have strayed so far from my blog. It has really been on my mind as of late. 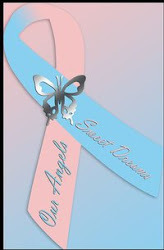 I think about it on Angel Babies' birthdays, when friends share things about their babies on social media, when parents speak of their Angels, when I see the Angel Steps logo sticker on my car (note to self: get more made), when someone references Angel Steps, when I share on the Angel Steps Facebook site, when I am spear heading Trey's service projects, when my receipt comes in each month for the payment for this site, and on Trey days. So with all of this thinking, I am still not posting. I have awesome ideas but life gets in the way. I am so busy "living" in the present it's hard to retreat to the past. Yet, I don't think the past is why I started all of this. I didn't want Angel Steps to become a lamented place and I think that, at the beginning at least, I tried to make this blog about living and loving through loss. I am still living and loving through my loss and I still have some great ideas of what to write about. That being said, I am an idea person which sometimes means that ideas keep floating out there because I am not all that skilled in follow through. I need to start jotting my ideas down and taking time each week, or whenever I can, to transform these ideas into communication and healing. Yes, I am still healing. I forever will be. Time does NOT heal all wounds. Grief does NOT get easier, it just changes. These are things I need to write about. I am thankful for those who have stuck with me, supported my efforts, and encouraged me to keep at it.